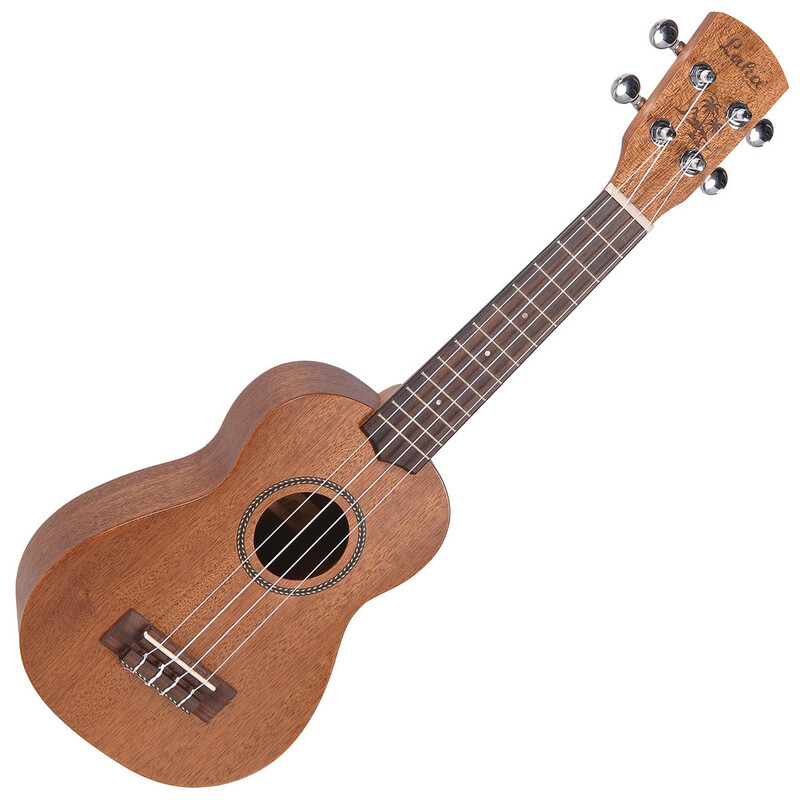 The Laka VUS70 Soprano Ukulele has a solid Mahogany top, laminated Mahogany back and sides and a Rosewood fingeboard with micro dot inlays, all finished with a beautiful rope style binding. The Soprano is the smallest size of ukulele, perfect for learning on and delivers that unmistakable and classic uke tone. The Laka VUS70 is made from high quality Mahogany. With an open pore satin finish and strung with premium Italian Aquila strings, this Laka Ukulele offers fantastic performance and sound.